Each of these links will open a new browser window to an external Web Site. 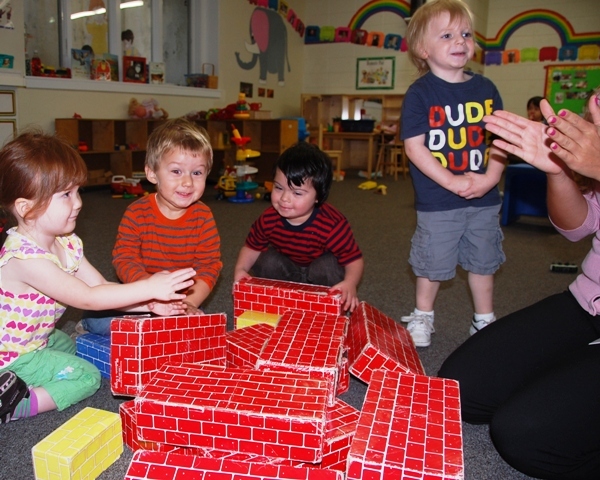 Donations to the United Way of Southeastern Connecticut help to defray expenses for the Toddler Playgroup. You can visit WWW.UWseCT.Org for more information. The Connecticut Birth to Three System's mission is to strengthen families to meet developmental and health-related needs of their infants and toddlers who have delays or disabilities. Do you have concerns about how a child sees, talks, hears, moves, eats, or plays? In addition to WWW.Birth23.Org, you can call 800-505-7000. The Connecticut Birth to Three System is a state program operating under the requirements of Part C of the Individuals with Disabilities Education Act. If you have a toddler, or a pre-toddler, please visit WWW.M-CHAT.Org. The Modified CHecklist for Autism in Toddlers (M-CHAT) is an autism screening tool designed to identify children 16 to 30 months of age who should receive a more thorough assessment for possible early signs of autism spectrum disorder (ASD) or developmental delay. Connecticut Charts a Course (CCAC) is the statewide professional development, program improvement and Registry system for early care and education. CCAC offers a variety of support to assist both individuals and programs in obtaining quality standards. In addition to CTcharts.Org, you can call (800) 832-7784 or send e-mail to membership@ctcharts.org. Page version 5.52 1 September 2015 Copyright © 2012, 2015 Ernest Adams All rights reserved. The alphabet blocks are used under license from Can Stock Photo Inc.